As part of our series of articles providing stories and insights to entrepreneurs, I asked a friend of mine who is a CPA and Principal at Withum to provide some insight on how tax reform will impact business owners. For those of you who are not familiar with the firm, WithumSmith + Brown started out as three CPAs and a single idea – To build a place where individuality and culture resonate equally alongside integrity and business acumen. Today the firm is ranked as one of the Top 25 CPA firms in the country. As you will learn in the following article, there are some very significant tax consequences from the recent tax reform law. It’s worth reviewing how these changes impact you and your business with a qualified CPA who stays current on tax issues. And if you didn’t make any adjustments in 2018, now is a great time to plan for tax year 2019. The Tax Cuts and Jobs Act has provided us with a new tax landscape that includes a host of opportunities but also a number of traps for the unwary. The following is a summary of how tax reform may impact your business along with our insights on tax planning. Our Withum tax advisers have analyzed the new tax law and are ready to help you implement the various tax saving opportunities contained in the Act. The corporate tax rate will decrease from 35% to a flat 21% effective January 1, 2018. Fiscal year filers will transition by using a blended rate for their tax years beginning in 2017 and ending in 2018. The alternative minimum tax on corporations has been repealed for tax years beginning after December 31, 2017. Planning Tip : Some companies, particularly ones in a growth mode, may benefit by converting to a C corporation to take advantage of the low 21% tax rate. Starting in 2018, owners of “pass-through” entities such as partnerships, S corporations and sole proprietorship will be eligible for a Qualified Business Income (“QBI”) deduction. The deduction is equal to 20% of the QBI from the business and is claimed on Form 1040. The benefits provided by this deduction will result in a maximum federal effective tax rate of 29.6% for eligible taxpayers. Planning Tip: Business owners need to evaluate their compensation levels relative to their pass-through income. Proper planning can result in as much as a 10.3% reduction in your federal effective tax rate. Additionally, there is a special election in the tax law that allow taxpayers to aggregate multiple businesses. When properly utilized, this election can maximize the tax savings. This is relevant for small businesses structured as pass-throughs. Top marginal tax rates for individuals are dropping from 39.6% to 37% starting in 2018. This rate benefit is offset for many taxpayers by the new limitation placed on state income taxes and property taxes. The so-called SALT (State and Local Tax) deduction will be limited to $10,000 for tax years beginning in 2018. Married taxpayers get an increased standard deduction in 2018 of $24,000 to help simplify their tax returns and offset the lost SALT deduction. Planning Tip: With the loss of the SALT deduction, consider various alternatives, if feasible, in residency planning to reduce your state income tax burden. Qualified property with a recovery period of 20 years or less placed in service after September 27, 2017 and before January 1, 2023 can be fully expensed. Property placed in service after December 31, 2022 and before January 1, 2028 will be eligible for additional initial expensing, but at an amount less than 100%. Additionally, prior law only allowed bonus depreciation for acquisitions of new property. The new law includes both new and used property in the definition of qualified property. In addition to the “special depreciation” allowance provided above, taxpayers are allowed to deduct up to $1,000,000 of Section 179 expense. The deductible amount is reduced when more than $2,500,000 of qualified property is placed in service during a tax year. Planning Tip: Conventional tax planning suggests to accelerate deductions as much as possible in order to defer paying tax liabilities. However, under the new tax law, the interplay between depreciation, the 20% pass-through deduction and the interest expense limitation must be considered in order to optimize the tax savings. The deduction for interest will be limited to 30% of adjusted taxable income. Businesses with less than $25 million of average gross receipts will be exempt from this limitation. Any disallowed interest is carried over indefinitely. Planning Tip: A special election can be made related to real estate financing to avoid the limitation on interest expense. For tax years beginning in 2018, taxpayers with less than $25 million of average gross receipts will be exempt from the UNICAP rules. Planning Tip: For eligible taxpayers this is a no brainer! The reversal of the cumulative UNICAP adjustment can be fully deducted in 2018. Taxpayers with less than $25 million of average gross receipts can use the cash method of accounting beginning in 2018 regardless of entity structure. This is even applicable to taxpayers where the sale of inventory is an income producing factor. Planning Tip: The cash method of accounting provides much needed simplicity in tax law and can be a better match of cash flows to tax liabilities. The research and development tax credit has been retained under the new law. Under current law, research and development expenses can be deducted in full when incurred, but under the new law must be capitalized and amortized over 5 years (effective tax years beginning after 12/31/21). Planning Tip: This incentive typically results in a federal tax credit equal to 6.5% of qualifying expenditures. Most small businesses are eligible to claim this credit — if you are not, you should! Under prior tax law, the domestic production activities deduction generally provided a deduction equal to 9% of qualified production income. This tax incentive will be repealed for tax years beginning after December 31, 2017. Planning Tip: In lieu of the DPAD; the new tax law provides a more robust 20% pass-through deduction and a lower corporate tax rate. Please contact Tom Fleming with questions on how tax reform impacts small businesses or to discuss how the above tax savings opportunities apply to you. About Tom Fleming, Principal, CPA, MST, WithumSmith + Brown. Tom is a Principal with more than 17 years of tax and accounting experience, specializing in providing tax, accounting and advisory services to middle-market businesses, their shareholders and high net-worth individuals. He has extensive knowledge and experience with tax issues affecting high net-worth individuals as well as investor owned and privately held businesses with multi-state and international operations. He assists many companies and individuals with identifying tax planning opportunities and developing tax saving strategies. Tom provides proactive advice to help comply with the complex array of tax rules and regulations. He has successfully assisted clients with Federal, State, and Local tax audits. 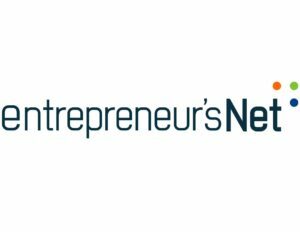 Founded by David Wagstaff, The Entrepreneur’s Network started as a LinkedIn group for entrepreneurs to meet and share business ideas, questions, challenges, and successes. Over the past few years, it has grown to more than 55,000 members, adding about 25 to 50 new members every day. Over the years, LinkedIn has limited some elements, such as featured stories that the group used to be able to enjoy. So, when refreshing my own website – clarityfi.com, I decided to create a section for The Entrepreneur’s Network where articles could be featured, and people could network. To date, everything I have done with this group has been at my own expense, so I decided to consider it a group sponsored by Clarity FI. I hope you enjoy these articles. If you have a story that you think is worth telling, or advice for founders and business owners, please feel free to send me a request at info@clarityfi.com. This Industry Insight was brought to you by Clarity Fi, Small Business Financial Management and Business Consulting. 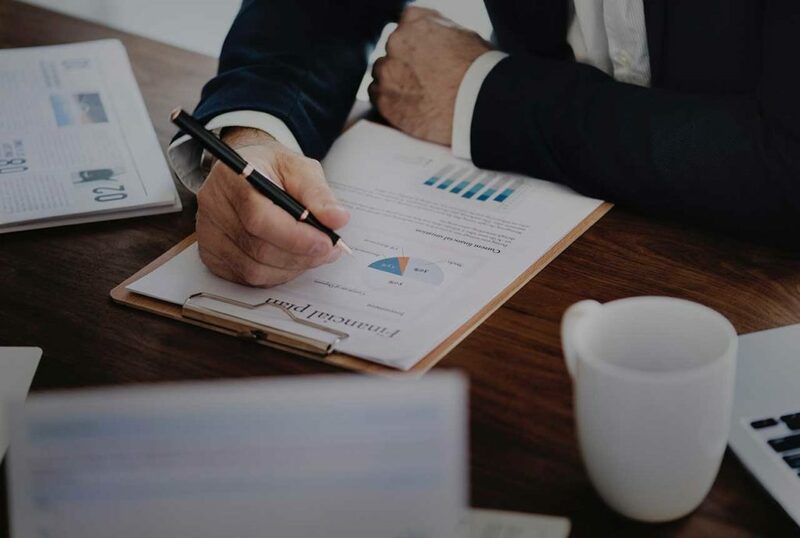 Clarity Fi helps business owners scale profitably, through done-for-you business financial management, accounting, invoicing, accounts payable, bookkeeping services and business consulting. Companies achieve profitable growth by looking at key components of revenue, expense, cash flow and identifying where the opportunities for growth lie. Clarity Fi is based in the Greater Philadelphia, PA area, Marlton, NJ and Grand Rapids MI. Financial Consulting Services and virtual bookkeeping are available all of the major markets.